This volume from the LexisNexis Annotated Statutes of Singapore series focuses on the Stamp Duties Act. It provides an excellent resource for the many interesting and significant developments in Stamp Duties especially in recent years. It comprehensively explains how stamp duty can impact businesses, families and individuals in relation to documents used in their commercial and non-commercial dealings. This volume addresses, in particular, all the important changes in the last decade, whether they arose from legislative changes or from decisions of the Singapore courts. It covers the latest changes. The book also identifies and discusses some of the anomalies which may arise from how stamp duty is to be applied under the provisions of the Stamp Duties Act. An authoritative resource on the Stamp Duties Act and a must-have for practitioners in the field and business enterprises, this book provides a timely resource for those who need to explore or understand this area of law. Tan Kay Kheng is a Partner and the Head ofTax Practice in WongPartnership LLP, practising both contentious and advisory/transactional work relating to income tax, stamp duties, property tax and goods & services tax. He has appeared as Counsel in the Singapore Courts as well as the Income Tax Board of Review and the Valuation Review Board. Kay Kheng holds degrees in law, accountancy and taxation. He is a Fellow of CPA Australia, a Chartered Tax Adviser with The Tax Institute, and an Accredited Tax Adviser (Income Tax) with the SIATP. He sits on the Accounting Standards Council and is a board member of the Tax Academy of Singapore and the SIATP. 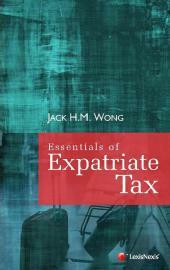 Leung Yew Kwong is Principal Tax Consultant at KPMG Services Ltd since April 2012. Earlier, he was a Partner in the Tax Practice at WongPartnership LLP for six years. He was previously with the IRAS and the predecessor Inland Revenue Department for 28 years, where he last held the posts of Chief Legal Officer and Chief Valuer concurrently. He has appeared as Counsel before the Valuation Review Board, Income Tax Board of Review, High Court and Court of Appeal in a number of tax cases.